As much as people value personal hygiene and cleanliness, it is also important that they understand that the dogs demand the same personal care and attention. This increasing awareness has led to the pet market flooding with pet care products, be it shampoos, conditioners, groomers, bath spritzers or any other kind of product. But even as this sudden influx grows, one needs to know that not all products are suitable for use. Although, effective it is important to first figure out whether a particular product will suit your pup. Whenever possible, going natural is the safest bet. Investing in an organic dog shampoo will give your pet a shiny and healthy coat. This problem was resolved to a major extent when organic shampoos came into the picture. What is an Organic Dog Shampoo? One can easily search for “dog shampoos” online and see a host of results but most of these are made up of some of the other chemicals that may or may not be suitable for the dog’s skin. The product may be effective but there could be repercussions if some chemical happened to cause more harm than good. This problem is resolved with organic dog shampoos. The term ‘organic’ means related to the organism. While one may be confused with the terms natural and organic, the confusion is cleared here. While natural products do contain nature’s ingredients, they could still have a small amount of the required chemicals and could also be minimally processed. Products that are organic are made from a collection of ingredients which are free of synthetic additives like pesticides, chemical fertilizers, and dyes. In order to be considered organic, products must not be processed using industrial solvents, irradiation, or genetic engineering. Common dog shampoos that are found in the market rely on chemically synthesized products to develop their shampoos. They are designed to specifically target some problems and to do so they act strongly. Organic shampoos, on the other hand, place a majority of their ingredients on the natural side. They are unaltered nature’s products that are used with the absolutely minimal processing required to get the finished product. Since their constituents are majorly natural, they rarely cause any harmful side effects that the user should know about. The only singular consideration is whether the dog is allergic to any of the natural ingredients that are present inside. One can clearly see that in the long run, organic products are far more beneficial than its counterparts. The following section briefly elaborates on this. Here are the best organic dog shampoos on the market and their key specs. For dogs with - allergies, itching, dryness and skin irritation. Massage on wet fur to make lather, keep for a few minutes. For dogs with - dry, itchy sikn, sensitive skin. Massage deep on wet fur to make lather, keep for a few minutes. Benefits of Organic Dog Shampoos – Why Use them! Can I Use Human Organic Shampoo on My Dog? The following are quick reviews of some of the leading brands of organic dog shampoos. 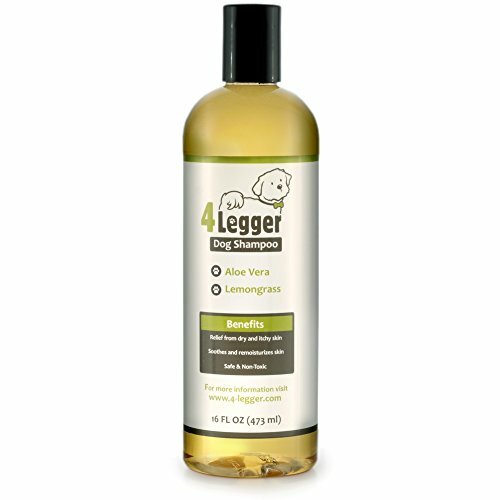 The 4-Legger Certified Organic Dog Shampoo is one of the most popular products on the market and is well-trusted by dog owners. The shampoo is hypoallergenic and made with Aloe Vera and lemongrass. This formula can be used on almost all skin types including those with dry, sensitive skin or allergies. When you use this shampoo on your dog, you know you’re respecting the environment as the formula is biodegradable, vegan, and cruelty free. 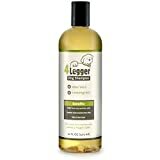 The shampoo lathers and rinses easily, making the grooming process smooth and comfortable. The formula is concentrated so as not to use any preservatives. That means you will use less and add more water when you’re looking for more of a lather. The BotaniVet Pet Shampoo is another USDA certified organic option that will provide your dog with a safe and gentle wash. This shampoo promotes overall skin health for dogs with normal skin while also helping to improve the skin of those with dry, itchy, or irritated skin. This shampoo is formulated with Manuka Honey, which is a powerful antibacterial and antifungal substance that aids in skin and wound healing. The soap in this shampoo is super gentle and made from coconut, olive, and jojoba oils for the ultimate skin nourishing results for your dog. This shampoo is not only recommended by many veterinarians but was formulated by them as well. 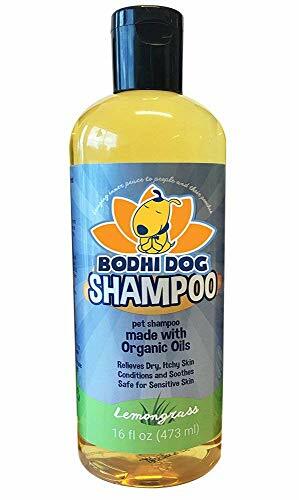 The Bodhi Dog Organic Dog Shampoo is a safe option made with USDA certified organic oils. This shampoo is vegan and is made with ingredients including coconut, olive, and jojoba oils, Aloe Vera, and lemongrass and rosemary essential oils. The hypoallergenic formula is safe for use on all skin types including sensitive skin and will help combat dryness and itchiness. You can use this shampoo for many pets including dogs, cats, rabbits, ferrets, and even horses. Keep in mind that although this shampoo is organic, you will need to be careful of your dog’s eyes while using it, as it may cause tearing. Your dog will be left with clean, soft, shining fur, and the faint scent of lemongrass. The Vermont Soap Organics Shampoo is another product you can trust as it is USDA certified organic. This shampoo is formulated with gentile castile soap and comes in a concentrated solution, so you will use less and get a better clean. The only preservative used in the formula is natural rosemary extract. The other ingredients in the shampoo include coconut, olive, and jojoba oils, Aloe Vera, and essential oils. 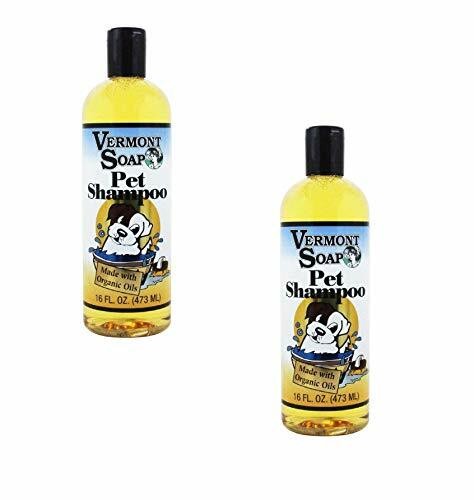 The Vermont Soap Organics Pet Shampoo is one of the safest options on the market and even has a pleasing lemongrass scent, which will leave your dog smelling fresh. If you have cats, you can use this shampoo for them too. If you’re on the fence about switching to an organic dog shampoo for your dog’s grooming routine, you will be pleased to learn that there are many benefits to using an organic product. If one can achieve a purpose by using the minimum amount of chemicals and no possibility of side effects, one should obviously go for that choice. Organic products are the solution that offers us this. They are completely natural and cause no harm whatsoever. The lack of potentially harmful ingredients in organic dog shampoos ensures that the grooming process will be gentler and safer. Dogs are in the habit of licking themselves clean even after taking a bath. Although, in practice, there should be no residual shampoo present after bathing, if there is, the consumption of an organic shampoo would hardly cause any damage as opposed to the normal ones. They are completely biodegradable which makes them eco-friendly. They are made from nature and go back to it without causing any pollution. Eco-friendliness is an essential characteristic because it makes the whole process safe for the natural surroundings. the natural ingredients in organic shampoos will help create a protective barrier around your dog’s skin against harsh or harmful external elements. Using an organic shampoo also means that your dog’s natural skin oils will be left to do their work rather than being stripped away by chemicals. Organic ingredients are known to gently infuse the required vitamins and minerals into the hair follicles and the skin to nourish the coat from the inside out. Since organic dog shampoos do not contain any chemical ingredients, maintaining your dog’s ideal skin pH is easy. Choose an organic product to ensure that your dog’s skin remains as healthy as possible. using harmful products on your dog’s skin can cause unwanted shedding. Organic shampoos are much gentler and do not contain ingredients that will cause your dog to shed without biological reason. organic dog shampoos not only help prevent allergic reactions, but they will work to heal any skin conditions or open wounds that exist on your dog’s skin. The combination of natural and soothing ingredients used to formulate organic shampoos, creates a healing product. while you may believe that choosing organic dog shampoos will cost you more money, you need to think about long-term spending. When you use organic shampoos, you are doing what you can to provide the safest and healthiest care to your dog. This can lead to the prevention of unnecessary medical care for your dog later on. When you weigh the pros of using organic dog shampoos, the choice is clear. You and your dog both have a lot to gain from switching to the use of organic grooming products. Once you decide to commit to using an organic shampoo to wash your dog, you will be faced with the task of figuring out which shampoo is the best choice for your dog. There are a number of criteria that you can consider to help you decide which organic dog shampoo to invest in. Shampoo Type: there are a large collection of shampoos which are designed to serve specific purposes. You will come across organic dog shampoos that are meant to moisturize skin, contribute to a shiny coat, combat dry skin, cater to sensitive skin, and more. Before choosing a shampoo, think about what skin conditions you would to address with the organic dog shampoo. 1. 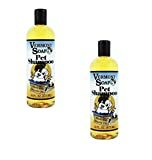 Ingredients: shampoos are often formulated with extra ingredients that work to provide specific benefits to your dog. However, not all dogs need all extra ingredients, and your dog may even have a sensitivity to a specific ingredient. If you’re thinking about choosing an organic shampoo with an ingredient you have never used on your dog’s skin, be sure to rest a patch of your dog’s skin for 24-hours before committing to using the ingredient. 2. Deodorizing: if foul smell is an issue that you experience with your dog, you may want to consider investing in an organic shampoo that works to deodorize in addition to cleaning. These shampoos often use fruit, flower, and herb extracts to achieve deodorization. 3. Wet vs. Dry: standard organic shampoos are based on use with water. There are options that can be used completely dry. Dry shampoos are extra convenient for situations such as travel or spot cleaning. They work well to clean off dirt between regular baths. Another instance in which a dry shampoo may be a better choice is if your dog has extremely dry skin. 4. Medicated: if your dog has a specific skin condition or problem, you may need to look for shampoos that can clean and also treat your dog’s condition. Before using a medicated shampoo, consult with your veterinarian to be sure that it is safe for your dog. 5. Careful with pH: all dogs have particularly sensitive skin and it is vital that their skin pH levels remain consistent. Search for organic shampoos that work to maintain your dog’s skin pH balance. 6. Skin Types: just like humans, dogs have different skin types. Dog shampoos are generally available in formulas catering to normal, oily, and dry skin. Make sure that you identify your dog’s skin type before using a new shampoo. Skin type may depend on various factors like breed, diet, and even age. If you’re not sure about your dog’s skin type, check with your veterinarian. 7. Fragrance-Free: if you know that your dog has generally sensitive skin, it may be a good idea to use an organic shampoo which is free of all fragrances. This will prevent any reaction from a scent source. 8. Vitamins: many organic dog shampoos are formulated with various vitamins in order to provide your dog’s coat with extra nutrition. Even if you believe your dog is getting the essential nutrition they need, it will not hurt to use a shampoo with vitamins. 9. Safety: above all, when you’re choosing an organic dog shampoo, you want to make sure that it is one that is safe for frequent use. Shampoos should be effective but gentle enough to be scrubbed into your dog’s skin often without causing irritation. The final choice of which organic dog shampoo you will use is ultimately up to you. Remember that while some shampoos may sound as if they offer extra features that could be useful, your dog may not need the extras. Stick to a shampoo that suits your dog’s skin type and cleans as gently as possible. When you start searching for organic dog shampoos, you will come across many options, but be careful because not all of them will be truly organic. You want to choose dog shampoos that are USDA certified. This means that there is always the chance that a product labeled ‘organic’ may be hiding chemical ingredients. 100% Organic: this means that a product is certified to have been made from all organic ingredients. Organic: this refers to products made from at least 95% organic ingredients. Made with Organic Ingredients: if you see this on a dog shampoo, then you know that it has been made with at least 70% organic ingredients. The remaining 30% of ingredients face strict restrictions including no GMOs. While all three categories are better options than products made with all chemical products, choosing a dog shampoo that is 100% organic will give your dog the safest, gentlest, and healthiest grooming experience. Using human organic shampoo on dogs is not in their best interests. Although human organic shampoo may be formulated with ingredients that are considered natural and safe, the shampoo is meant to clean human skin. Dogs have super sensitive skin that needs to be cleaned and treated in specific ways in order to ensure that it remains healthy and avoids irritation. The main reason that you should not use a human organic shampoo on your dog is the acid mantle, otherwise known as the pH level. The acid mental is a thin acidic layer which covers the rest of your dog’s skin and protects them from environmental bacteria and viruses. Humans have acid mantles too, but the pH balance levels are not the same as those necessary for dogs. If you choose to use a human organic shampoo on your dog, you will effectively be damaging their acid mantle or disrupting the balance of their pH level. This will lead your dog to become more vulnerable to bacteria, viruses, and parasites. Another danger with using human organic shampoo on your dog is that the formula may feel itchy for your dog’s skin. This could potentially lead your dog to scratch their skin excessively, increasing their vulnerability to external contaminants. When you notice that your dog is suffering from excessive itchiness, it’s important to visit the veterinarian to determine the possible cause of the itching. This will help you decide what type of organic shampoo and other products to use. Try feeding your dog yoghurt: Make sure to give your dog low-fat, plain yogurt that is free of sugar or other additives. The natural probiotics in yogurt help to fight skin and yeast infections and keep healthy bacteria in your dog’s gastrointestinal system. Apple Cider and Vinegar Solution: create a half and half mix of apple cider and vinegar and use a spray bottle or sponge to apply it to your dog’s skin. You can apply the solution twice per day and expect to see results within two weeks. Making organic dog shampoo is not a difficult process. All you need to do is measure your chosen ingredients so they are properly balanced for optimal pH level. Once you have done this, mix the ingredients with water. Make your homemade organic dog shampoo in small batches as it will not keep as long as a store-bought product would. To summarize, one can say that one should always go for the organic products be it for personal use or for the pet’s needs. Some dogs have extra sensitive skin and therefore, taking good care of it is a must. There are a lot of organic dog shampoo products to make this happen and these have been listed above. Also, the benefits mentioned are not lost on the consumers who seem to acknowledge the advantages and switch to the organic option.